Like most bands still touring on the nostalgia circuit, heavy metal pioneers Judas Priest have a deep well of greatest hits to choose from. You could forgive them if they wanted to go the safe route and stick to that list, giving audiences familiar tunes that casual fans have heard countless times on the radio. Instead, as they hit the road for the first time in nearly three years, the band has taken an increasingly rare risk and crafted a show custom-made for the most dedicated purists. And the payoff is fantastic. 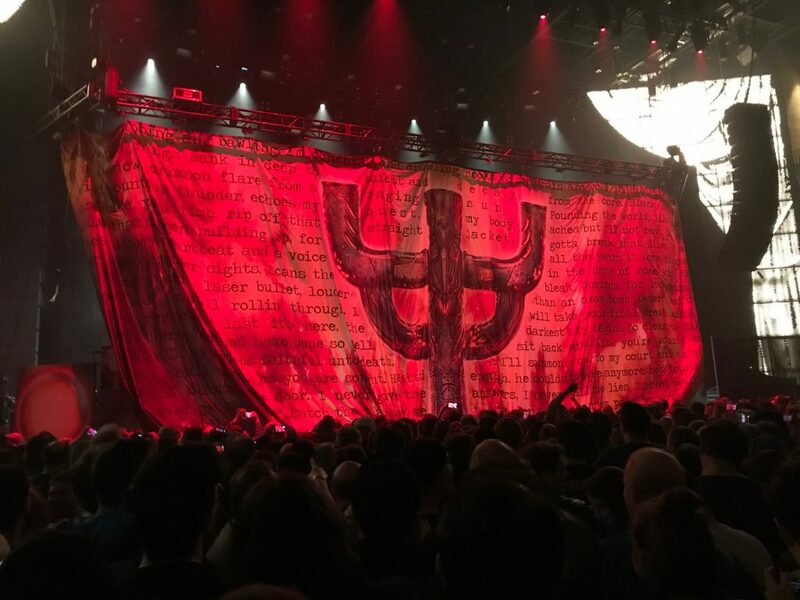 Judas Priest kicked off their world tour earlier this month in support of Firepower, an album that somehow debuted at the number 5 spot on this week’s Billboard top 200 list despite coming from a band founded in 1969. They appeared in Washington, D.C. Sunday night for a sold-out show at the Anthem, the city’s cavernous new venue. After straight-forward opening sets from veteran metal act Saxon and Black Star Riders, a band formed from the ashes of Irish rockers Thin Lizzy, the ballroom-style floor transformed into a sea of spiked leather, vintage band t-shirts and long hair that ran the gamut from jet black to grey. The crowd was a testament to the band’s cross-generational staying power and one that was well primed for Priest’s exciting dip into their archives. Sprinkled throughout were strong B-sides from the albums that did deliver hits, like “Bloodstone” from “Screaming for Vengeance” and “Grinder” from “British Steel,” the album that would ultimately define the band’s sound. While the bold choices could have alienated those who showed up expecting the expected, they were well received by the crowd, many of whom were probably just realizing the depth that this cartoonishly macho band was capable of. Despite the dive into the past, the line-up featured just two original members, the ever-banshee-like Rob Halford and bassist Ian Hill. Neither of the two founding guitarists, KK Downing and Glenn Tipton, are currently healthy enough for the seven-month tour but were well represented by Andy Sneap and Richie Faulkner. The two pinch-hitters proved to not just be stellar musicians, but powerful showmen capable of pulling off their predecessors’ guitar god choreography. 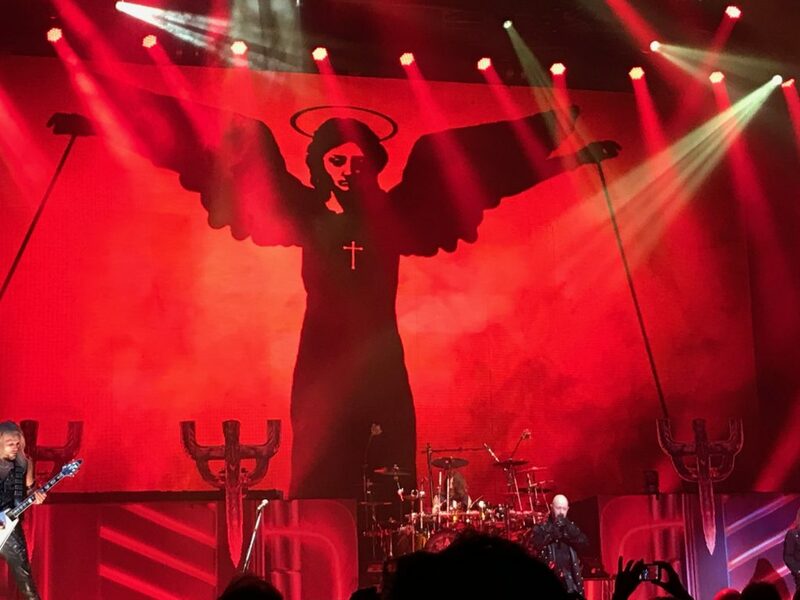 Nevertheless, the band still impressed long-time fanatics with some fun detours, including a resurrection of the 1990s “Painkiller,” which saw the 66-year-old Halford showing off his unvarnished vocal range, albeit with a touch of physical strain. As the night ended and the lights went up, the crowd was sent away with a recording of Queen’s “We are the Champions” playing over the house loudspeakers. Going with Queen is an interesting choice considering that the two bands have little in common, save for gay frontmen with operatic vocal stylings. It may, however, have carried a coded meaning. 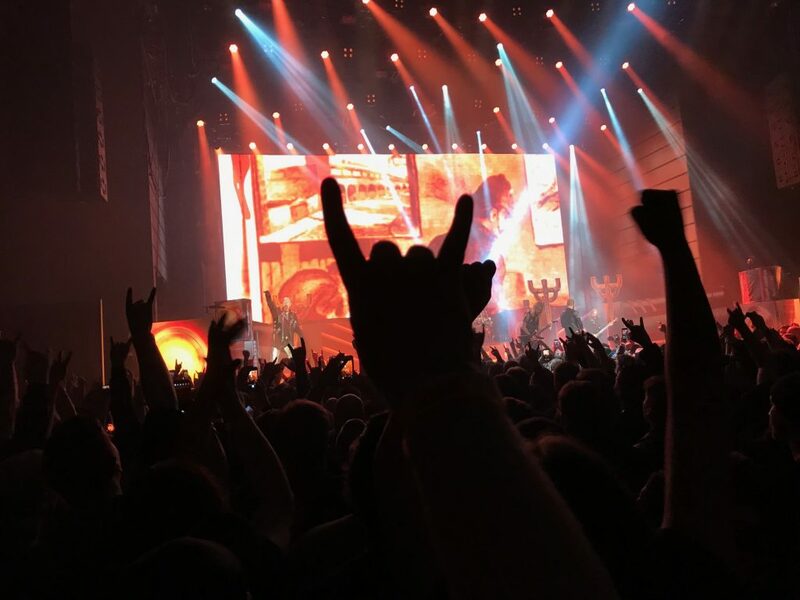 With this tour, Judas Priest is reminding crowds across the world that even when they languished in obscurity, they were still head and shoulders above many of their hard rock contemporaries. Justin Duckham is a Washington, D.C. based reporter. Before making the jump to politics, he covered music in California. He once got backstage at a Smashing Pumpkins concert by dressing as a pizza delivery boy, a feat he still considers one of his greatest accomplishments. Contact the author.